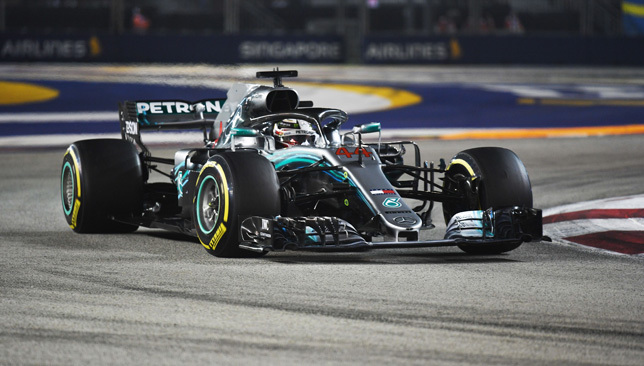 Lewis Hamilton won the Singapore Grand Prix on Sunday in dominant fashion to increase his Formula One championship lead over Sebastian Vettel to 40 points with just six races remaining. Here, we look at the key takeaways from Singapore. The Briton produced a stellar performance to secure his fourth win in Singapore. 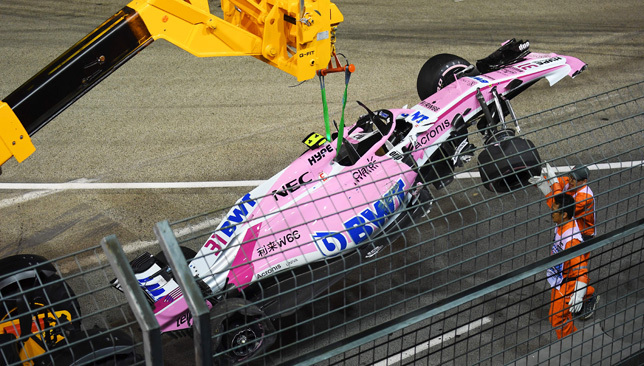 He pushed hard, stayed composed and drove solidly around Marina Bay Street Circuit, when the easy option could have been to sit back and not to take risks. The 33-year-old controlled the race from pole and didn’t encounter any difficulty as he held off a determined Verstappen and Vettel. Hamilton now has a seventh win this season – and the result in Singapore only strengthens his grip on a fifth world title even more. Top marks to the Mercedes team for another flawless strategy. The race was always going to be a war of tyre management. It would come down to the team and driver with the best strategy and if they could utilise the tyres the most around the sweeping Asian street circuit. Unfortunately, Ferrari failed in their strategy calls again, by opting for the German to pit on ultra soft tyres on lap 15. He came out of the pits in P5, got held up behind Sergio Perez for a lap and then Verstappen outsmarted him from the pits on lap 21. He didn’t seem to have pace to challenge Hamilton either on a poor tyre and struggled in the final laps when he fell a staggering 23 seconds behind second-place Verstappen. With 40 points separating him from Hamilton in the drivers standings, it looks like his chances of a fifth world title are all but over. Coupled with some poor team strategy and his own personal errors this season, the 31-year-old has simply buckled under the pressure of his own ambitions. A disappointing weekend for the 21-year-old. With uncertainty over his F1 seat next season, a formidable finish would have put some gloss on a difficult few weeks for the talented Frenchman. But he crashed out on the first lap after a shunt from his teammate Perez. It’s the third time this season that he has retired on the first lap, adding to previous woes in Azerbaijan and France. The Mercedes-contracted driver is clearly one of the most gifted performers on the grid, and if he is unable to secure a seat for 2019, then expect him to return to paddock in 2020. He is too good to be left out of the sport, but unfortunately results and internal politics have gone against him this season. It was a sensational performance from Verstappen to collect his fifth podium of the season. Although he would have been happier to win the race, the confidence he showed to nip ahead of Vettel after a pitstop and then attack Hamilton late in the race was remarkable. With Hamilton’s tyres losing some fizz with 20 laps remaining, Verstappen closed the gap to 1.5 seconds at one point, but that was as close as he could get. Still, it was a commendable second place for the 21-year-old, who is slowly looking back to his best after recent disappointments in Hungary and Silverstone. His teammate Daniel Ricciardo could only manage to finish sixth. 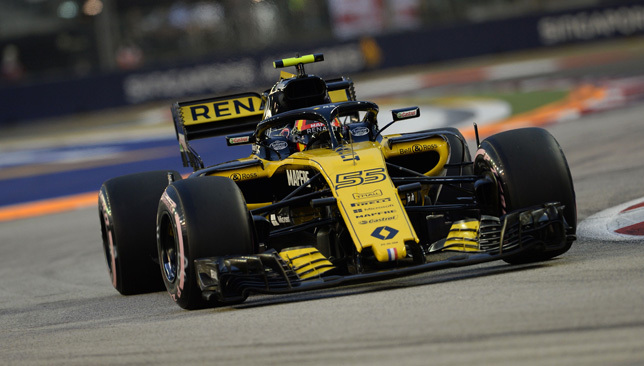 The Renault duo of Carlos Sainz and Nico Hulkenberg shone in Singapore to finish eighth and 10th respectively – their sixth top-10 finish this season. Sainz, in particular, had a solid race under the radar, leapfrogging his teammate Hulkenberg early in the race, before rising three more places to eighth. Their five points collected in Singapore means Renault are now fourth in the constructors’ championship – 10 points ahead of Haas and 162 behind Red Bull. 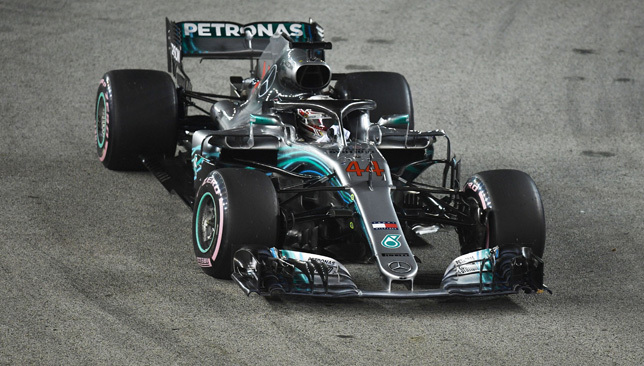 Lewis Hamilton put his Mercedes on pole position for the Singapore Grand Prix with a scintillating final lap. The 33-year-old turned on the style to claim his fourth pole at Marina Bay Street Circuit and edge out Red Bull’s Max Verstappen. Ferrari’s Sebastian Vettel qualified third with Hamilton’s team-mate Valtteri Bottas fourth. Kimi Raikkonen, Daniel Ricciardo, Sergio Perez, Romain Grosjean, Esteban Ocon and Nico Hulkenberg occupy the other positions in the top 10. 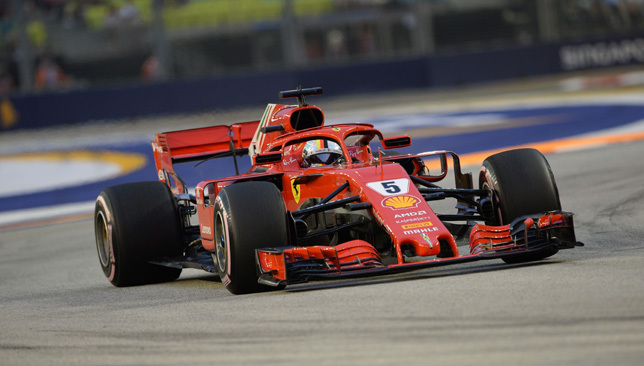 Sebastian Vettel led a Ferrari one-two in final practice for the Singapore Grand Prix as Lewis Hamilton finished third. 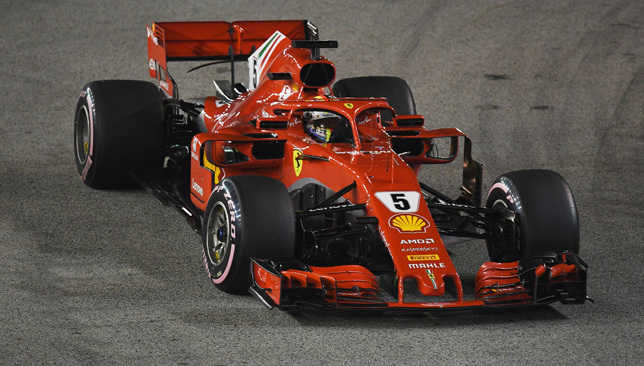 Vettel, who trails Hamilton by 30 points in the Formula One World Championship, lost valuable track time on Friday after he collided with the wall. But the German set the pace ahead of qualifying with a track record of the Marina Bay Street Circuit. Vettel finished 0.362 seconds clear of team-mate Kimi Raikkonen, while Hamilton was more than half-a-second adrift. Valtteri Bottas finished fourth in the sister Mercedes, 0.549sec down on Vettel. 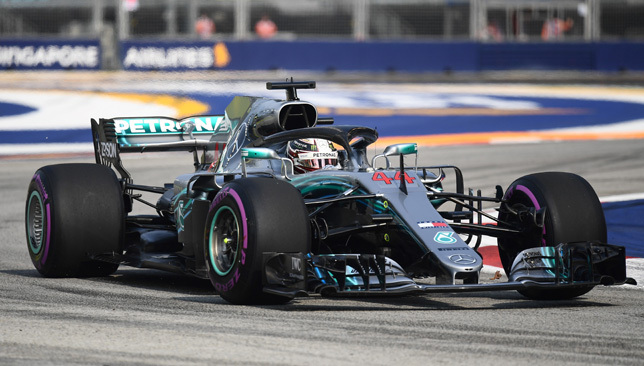 Hamilton trailed Raikkonen by just 0.011sec here on Friday but – on the evidence of Saturday’s final running – the defending champion may have his work cut out to stop the Ferraris in the shoot-out for pole position. 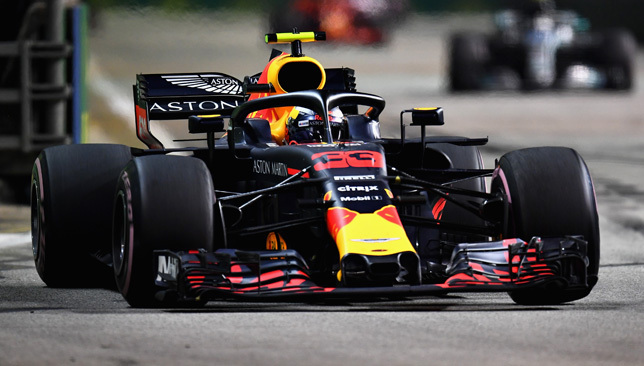 The Red Bull duo of Daniel Ricciardo and Max Verstappen finished fifth and sixth respectively, more than one second off the pace of Vettel. Red Bull are divorcing from Renault at the end of the season to be powered by Honda in 2019. Elsewhere, Romain Grosjean was seventh for Haas, ahead of Force India’s Esteban Ocon and Sergio Perez. McLaren’s Fernando Alonso rounded out the top 10.